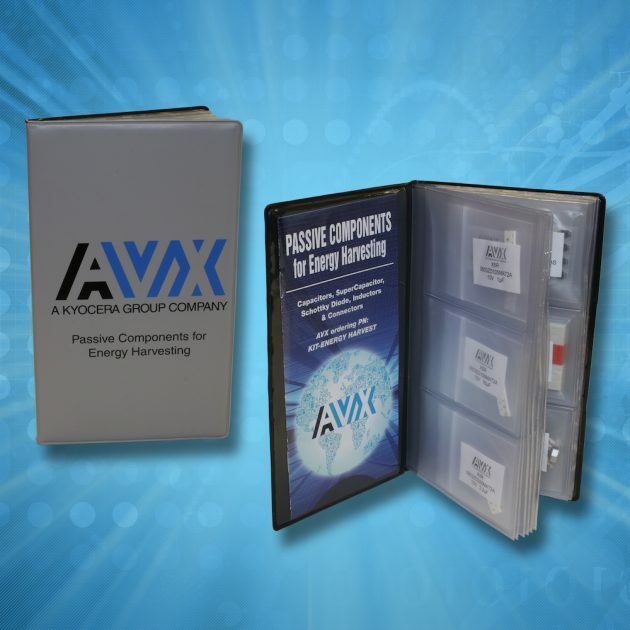 AVX Corporation, a leading manufacturer and supplier of passive components and interconnect solutions, announces the limited release of its new Energy Harvesting Application Design Kit. 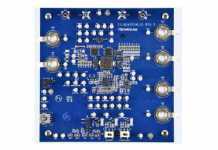 The kit features a wide range of low-loss components hand-selected to provide engineers with ideal solutions for energy storage, blocking, IC support, output filtering, and external connections in thermoelectric generators, solar cells, piezoelectric devices, and micro wind turbines, including MLCCs, supercapacitors, Schottky diodes, inductors, and connectors. It also comes with a booklet that provides users with a brief introduction to energy harvesting and additional information about the components it contains. SCC Series supercapacitors, which offer excellent pulse power handling characteristics resulting from a combination of very high capacitance and very low ESR and can be used by themselves or in conjunction with primary or secondary batteries to achieve extended backup time, longer battery life, and instantaneous power pulses as needed. 9175/6/7 wire-to-board STRIPT IDC contacts, which provide cost-effective, insulator-less connections for discrete 12–28AWG wires, function just like traditionally insulated connectors, and are UL-certified. AVX’s new, limited-release Energy Harvesting Application Design Kit (part number: KIT-ENERGY HARVEST) is now available and ready to ship. For design suggestions, part recommendations, or other assistance, please contact your local AVX sales representative, visit www.avx.com, email inquiry@avx.com, call 864-967-2150, or write to One AVX Boulevard, Fountain Inn, S.C. 29644.